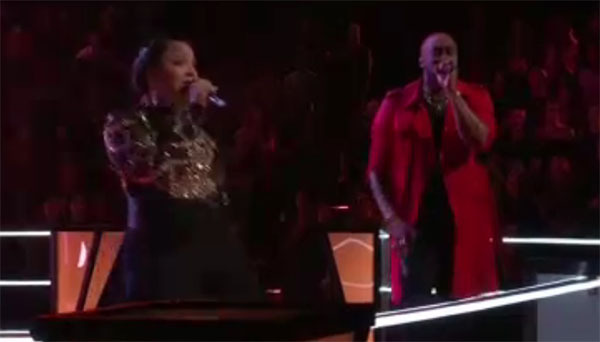 Jamai and Sharane Calister from Team Alicia Keys battled it out with “Mercy” by Shawn Mendez on The Voice Battle Rounds on Monday, March 19, 2018. 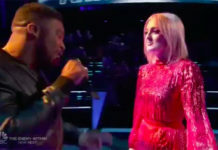 “Jamai, there’s moments with your runs that is wow,” said Adam Levine. “I pent two months on a trampoline to do what you just did. Sharane you don’t need a microphone. 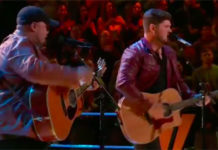 You both did a great job,” said Blake Shelton. “Both of you were like forces. 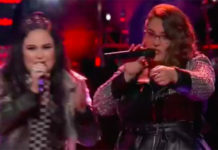 the Both of you were flawless,” said Kelly Clarkson. “I’m supremely proud of this battle. Jamai you are a shocker, Sharane you have lived seven lives,” said Alicia Keys. The winner of this battle is Sharane Calister, no steal for Jamai.